Welcome to the Internet of Value ! In the same way as the Internet redefined global communication, Bitcoin and other cryptocurrencies are now reinventing money and value transactions. Before Bitcoin, money was defined by State sovereignty over a territory. From now on, any community can mint its own money in form of a cryptocurrency or digital token and start trading without any central supervising authority. In 2017 alone, Initial Coin Offerings (ICOs) raised around $5 billion. Each project was financed by a community of token holders who became its ambassadors. There are now already tens of millions of token holders. Bitcoins and digital tokens are like better, smarter cash. They are programmable money. Immediately liquid, indefinitely divisible, and instantly transferable, they can be programmed to meet the needs of particular assets, rights, goods, or services or of specific communities. In the coming years, we will see a multitude of cryptocurrencies being deployed. New cryptographic developments and payment applications will allow us to transact in all these currencies, with the traditional “fiat” currencies retaining their role as price anchors/index currencies. Exchanges will be the marketplaces where cryptocurrencies will be traded against each other and with fiat currencies. 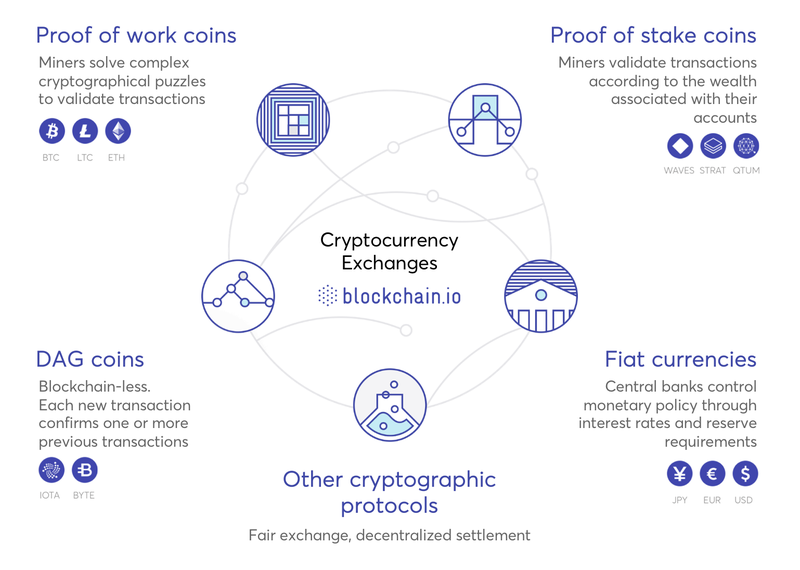 Cryptocurrency exchanges will form the bridges between blockchains powered by Bitcoin, Ether and other cryptographic protocols. We confidently expect the Internet of Value to gain mass adoption, just as the free peer-to-peer networks that preceded it on the Internet, namely email and the Web, did. The Internet of Value will trigger new waves of innovation in financial systems and beyond. It will bring financial inclusion to the billions of people who are still unbanked today. Founded in 2011 by Pierre Noizat and Gonzague Grandval, Paymium is the first European platform for buying and exchanging bitcoins against euros, which offers a service in compliance with European regulations. Paymium allows you to keep your bitcoins safe, to exchange them for Euros, and to transfer them to other money media anywhere in the world. Paymium also offers a trading interface for its most advanced users. Since its creation, Paymium has raised two million euros from Xavier Niel’s investment fund (Kima Ventures), from Newfund, Galitt, BPI France and a from a group of business angels to support its growth in Europe and strengthen its investments in R&D. To date, Paymium has 170,000 registered subscribers in its market sector.